Per the official press release, Season 2 will see Stuart and Freddie attempting to deal with many changes in the lives of their friends. Violet has married a mystery man who now seems to have gone AWOL. Ash is all loved up with new girlfriend Jess (played by guest star Georgia King). And ditzy Penelope and no nonsense Mason continue to be baffled by everyone around them. Throughout the new series we’ll see our family of friends try ballroom dancing, discover what the inside of a gym looks like and try sushi for the very first time. Plus, we’re apparently also going to meet Violet’s sister this season, and she’ll be played by the always amazing Celia Imrie. What’s not to love? “Not many comedies can claim to have two knights and a three-time Olivier Award winner amongst its stellar cast,” said Elaine Bedell, ITV’s Director of Entertainment and Comedy. “We’re delighted to have Vicious back on ITV for its second series”. I actually ended up really enjoying the first season of Vicious. To be fair, it’s not perfect by any means, and there are certainly some problematic elements, but overall, it’s fun, and the comedic chemistry between Jacobi and McKellen is pretty great. (I also just love Violet. Love love love.) Hopefully, the new season will have successfully ironed out some of the issues from the show’s first outing. Fingers crossed. 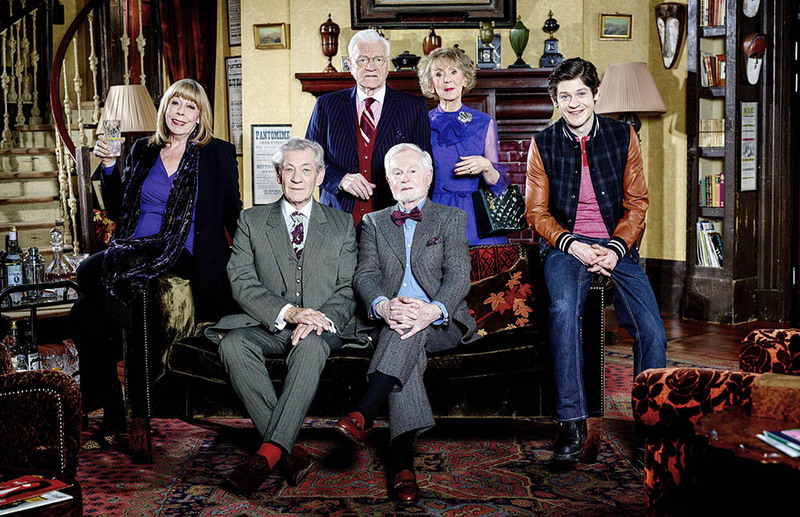 Season 2 of Vicious is set to premiere on Monday, June 1 in the UK, and will be returning to America on PBS stations later this summer (late August, but make sure you check in with your local station to confirm the exact date). Are you looking forward to more Vicious? It's official: Season 2 of "Victoria" will premiere on Masterpiece in January, 2018!